It’s official: Australia has been voted the Nº1 dream destination by young Chinese travellers. Young Koreans, Japanese, Malaysians and Vietnamese have also placed the country in the top 3 of their travel bucket list in a recent study by the Pacific Asia Travel Association. 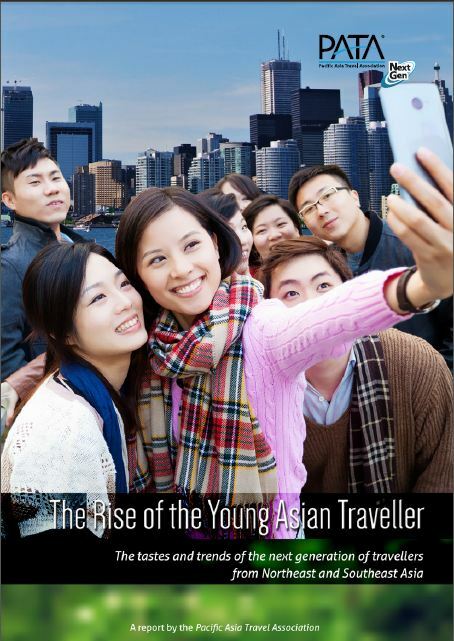 This exciting news for the Australian youth travel industry was revealed in the latest report The Rise of the Young Asian Traveller, released just last month by PATA, an organisation that’s been analysing Asia travel trends and bringing the industry in the region together for more than six decades. I’m proud to have authored this report for PATA, and those of you who attended ATEC’s Australian Youth Travel Conference in Sydney earlier this year will recall that I shared some of the very early results of this study, which gathered data from nearly 3,000 people aged 15-29 from across 13 countries in Northeast and Southeast Asia. What did our young Asian respondents tell us? How to beat the competition (there is a lot out there)? How to meet or exceed traveller expectations on the ground? How to maximise traveller spend, peer recommendations and repeat visits? As I discussed in my recent reaction to Tourism Australia’s Managing Director John O’Sullivan’s recent interview with The Byte, Tourism Australia is placing a high priority on making Australian tourism China-ready. At the same time, he admitted that TA doesn’t currently have a youth-strategy. With big potential for further growth (and not just from China), and with equally big questions for the Australian youth travel industry to answer, perhaps it’s time to make one? Chinese currently represent 11% of youth arrivals and has been the fastest growing market for 4-5 years. However, in focussing on China alone is Australia putting all its eggs in one basket? Australia isn’t the only big hitter out there. For time-pressed students and young professionals, nearby Asian destinations are cheap and easy to get to , while European destinations have been gearing up for Asian growth for years. Does Australia have an eye on the competition in the youth market? Students can be are tourists too. Studying is the main reason that young Chinese come to Australia in the first place. How can the youth travel industry leverage its partnerships with the education sector? Is the country’s infrastructure (hostels, tours, adventure sports activities) well geared towards the tastes of the modern Millennial traveller? Australians have toured Europe for decades, getting a good understanding of what a good working holiday should involve (ie. a lot of drinking, a lot of adventure). Does this work the same way for young Taiwanese, Koreans or Hongkongese? How well does the Australian youth travel industry understand its emerging markets? The questions are big, but so too are the opportunities. Again, it’s reassuring and to see Australia placed so highly in young Asians’ dream list of destinations. But turning those dreams into bookings, bed-nights and subsequent positive reviews online is going to require a huge amount of education, training and most of all, teamwork. In future posts I’ll be discussing the implications of this report for other destinations, as well as looking at ways to put the report’s recommendations into practice.